"We both came to ministry from careers as attorneys – Phyllis at the United States Department of Justice, and John at a large private practice in Washington. A life-long Unitarian, Rev. 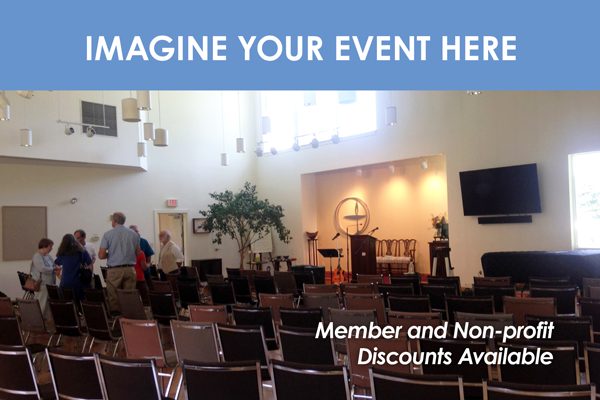 John was a dedicated church leader for many years at All Souls Church in D.C., raising money, leading the Board and planning for growth. He was serving on a search committee when he felt a call to ministry. He graduated from Wesley Theological Seminary in 1990. Rev. Phyllis was new to Unitarian Universalism, but quickly joined John in developing yearly spiritual retreats at All Souls, doing committee work, and enrolling in the Starr King School for the Ministry in Berkeley, where she graduated in 1992. Both of our calls to ministry focused on deepening our connections with something greater than ourselves that calls us to compassion and justice for all people and the world we live in. While we focused initially on urban ministry, we have found that we simply love people. As co-ministers for 25 years (14 of them in Baltimore), our call is to create a place where together we may become who we long to be – people who are building the beloved community, people who are bending the arc of justice. Here at York, we feel that we are lucky, too, to be asked to work with such a dedicated, talented group of people in this beautiful facility. We look forward to these months together. May we bless one another’s lives as we journey together." Did you miss the meet-up with our new ministers? You can watch the event online and hear what our new ministers had to say about themselves, and their responses to questions from members who attended the brunch. The video of the event is in four parts. The first part features Rev. John and Rev. Phyllis introducing themselves. The rest of the links feature questions and comments from members, and the responses of our new co-ministers. Please excuse any evidence of amateur video making. This was my first time with this equipment, and there were some harrowing moments as I tried to keep everyone on screen and in focus. Please see the links below. And if you wish to contact our ministers for any reason, please reach out to them personally. They are happy to take your questions, hear your thoughts, and respond to any concerns or issues you may be experiencing. 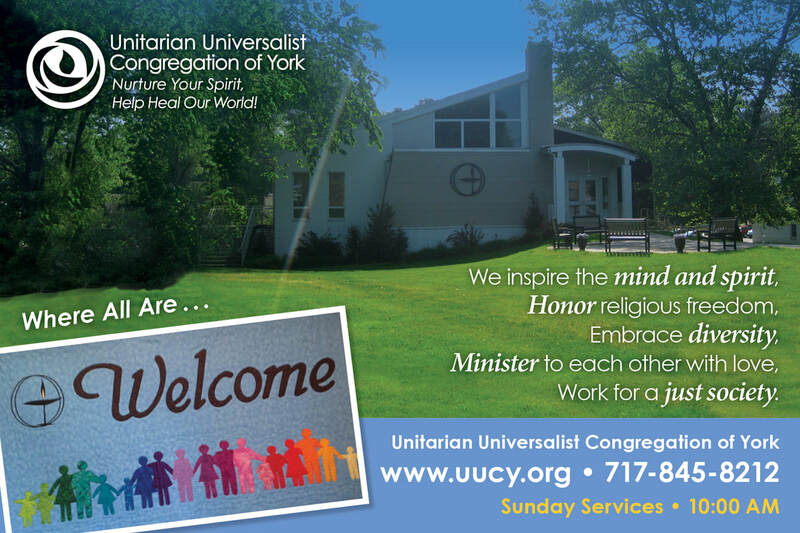 Since 1955, UUCY has offered a religious experience based on freedom, reason, tolerance, and compassion. This on-going process is filled with reverence and responsibility to individuals and community in a spirit of love. This process continually brings with it an enduring hope for the future. 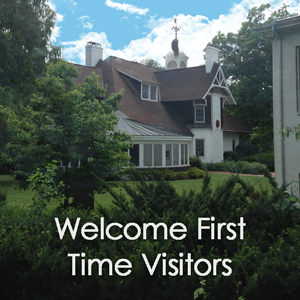 Notwithstanding change over the years, the founding principles of this congregation continue to offer hope and support to those on their own religious spiritual journey. 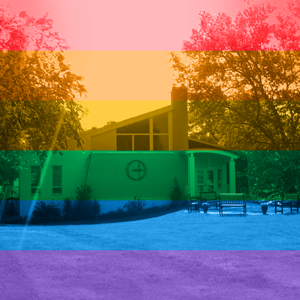 Unitarian Universalist (UU) congregations together affirm and promote seven Principles. We also share a “living tradition” of wisdom and spirituality, drawn from many sources. The seven Principles and six Sources of the Unitarian Universalist Association grew out of the grassroots of our communities, were affirmed democratically, and are part of who we are. Join us as we journey together.